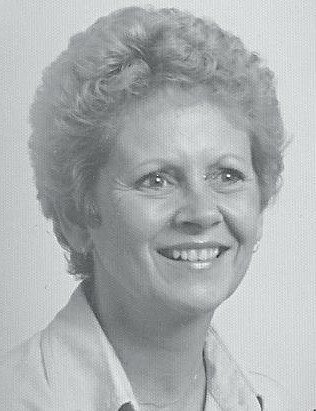 JAN LADEAN BRADY, 75, of Swartz Creek, died January 23, 2019. Jan was born February 17, 1943, in Flint, the daughter of Francis and Pauline (Odykirk) Hall. She was a graduate of Dye School and had attended Mott Community College. She had resided in Swartz Creek since 1979. Jan enjoyed arts and crafts, antiques and flea markets. She had a caring compassionate nature. She had given her time driving the bus for G.C.A.R.C, worked with Senior Citizens, worked with the Muscular Dystrophy Association and worked in adult group homes. Jan had a loving spirit for everyone. Surviving are: two sons, Timothy Brady of Flint, Randall Brady of Flint; granddaughter, Lauren Brady of Pasadena, CA; grandson, Benjamin Brady of Garden Grove, CA; siblings, Judy (Robert) Case of Bancroft, Douglas (Shirley) Hall of Kingsley, Ernest Hall of Durand; sister-in-law, Barbara Hall of Owosso; several nieces and nephews. She was preceded in death by her parents; nephew, Steven Hall; brother, Dale Hall. Those desiring may make contributions to the American Cancer Society or Muscular Dystrophy Association. No public services will be held. Arrangements are being handled by Sharp Funeral Homes and Cremation Center, 6063 Fenton Road, Flint.